I don't think much commentary is needed here. Just consider the implications of this. The far reaching implications. 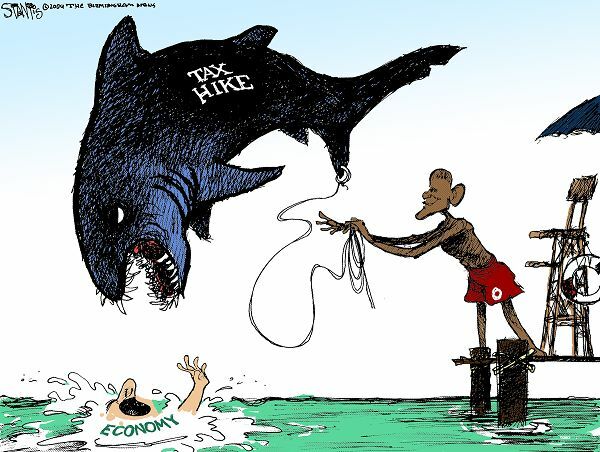 Obama continues to pretend that he doesn't want to tax the middle class. Uh-huh. Obama pretends a lot of things. - W.E. The Obamacare Medical Device Tax: Medical device manufacturers employ 409,000 people in 12,000 plants across the country. Obamacare imposes a new 2.3 percent excise tax on gross sales – even if the company does not earn a profit in a given year. In addition to killing small business jobs and impacting research and development budgets, this will increase the cost of your health care – making everything from pacemakers to artificial hips more expensive. The Obamacare “Haircut” for Medical Itemized Deductions: Currently, those Americans facing high medical expenses are allowed a deduction to the extent that those expenses exceed 7.5 percent of adjusted gross income (AGI). This tax increase imposes a threshold of 10 percent of AGI. By limiting this deduction, Obamacare widens the net of taxable income for the sickest Americans. This tax provision will most harm near retirees and those with modest incomes but high medical bills.